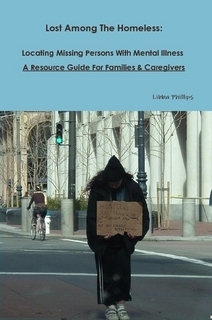 Are you a family member in crisis and looking for a lost loved one? This Resource Guide is the first place to start the process. It also includes Now What? Recovery Plan Guidelines which are a critical component to re-unification. Finding a lost loved one and expecting him or her to just 'come home' is often an unrealistic expectation if the person has mental illness and/or co-occurring addiction issues and is prone to homelessness. Careful thought and consideration must be given to determine 'Now What?" when a lost loved one is found. You can download the Resource Guide for $2.50 or purchase the Paperback Booklet Edition for $6.50 Here. All the proceeds go to support Outpost for Hope.